Home / Uncategorized / Bella! 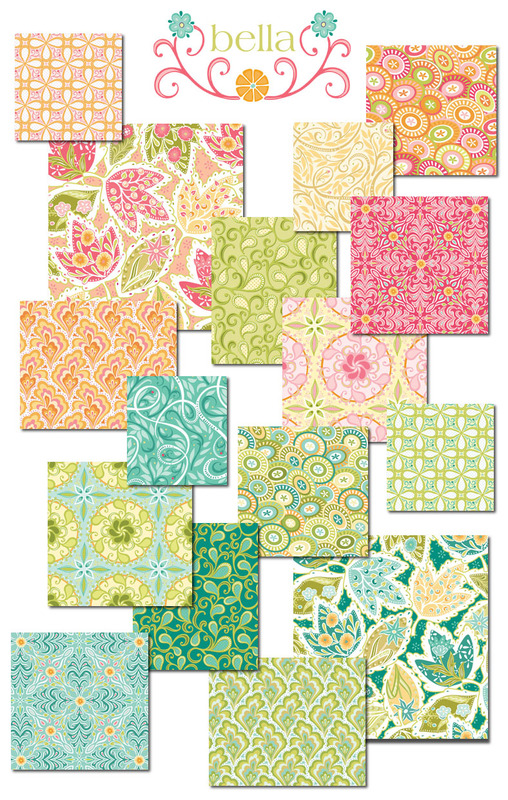 I’m SO excited to announce my new fabric collection for Blend Fabrics – Bella! She comes in Buttercream and Seaglass! She’ll be shipping in the fall! For more information, please visit Blend Fabrics. I will be designing some special patterns for this collection for the fall so be sure to ask your local shop to contact Blend Fabrics and order the fabric in advance! So bright and happy! Love it! Parabéns,já estou vendo uma colcha aqui.Lindos! Very "girly" and "sweet". Prefect for a quilt for one of my granddaughters! :). Great job, Amanada! So pretty. Can't decide…buttercream or seaglass…hmmmm…maybe both! It is gorgeous! Congrats again! Amanda ~ That's another gorgeous line of fabrics. Just beautiful. Congratulations – another lovely group of fabrics! Yes me in love with this collection…..love greens..something has happened to me… I love green…all greens…. especially yours…when is this out…..???? tell me quick…. I want it, I want it, I want it all! Those fabrics are gorgeous . . . I'm actually drooling. Lovely! The colors are just gorgeous! Beautiful! Congratulations on you new line… It is wonderful! Oh, Amanda, these are such gorgeous fabrics! I've never heard of Blend Fabrics. Are they a new company? Congratulations on a great new collection in two wonderful colorways!